Place the garlic, scallions, onion, parsley, 1 tablespoon of olive oil, sea salt and cumin in a food processor. Process until the mixture is finely chopped. Add the garbanzo beans and mashed potatoes. Process until smooth. The mixture should be stiff. If too stiff, add a small amount of the reserved garbanzo cooking liquid. Form the mixture into 8 patties approximately 2 inches across. Place remaining oil in a cast iron skillet and heat up. Place the patties in the skillet and reduce the flame to medium-low. Cook until golden brown, flip over and cook the other side until golden brown. Approximately 5 to 7 minutes per side. Place the patties on a serving platter and serve. 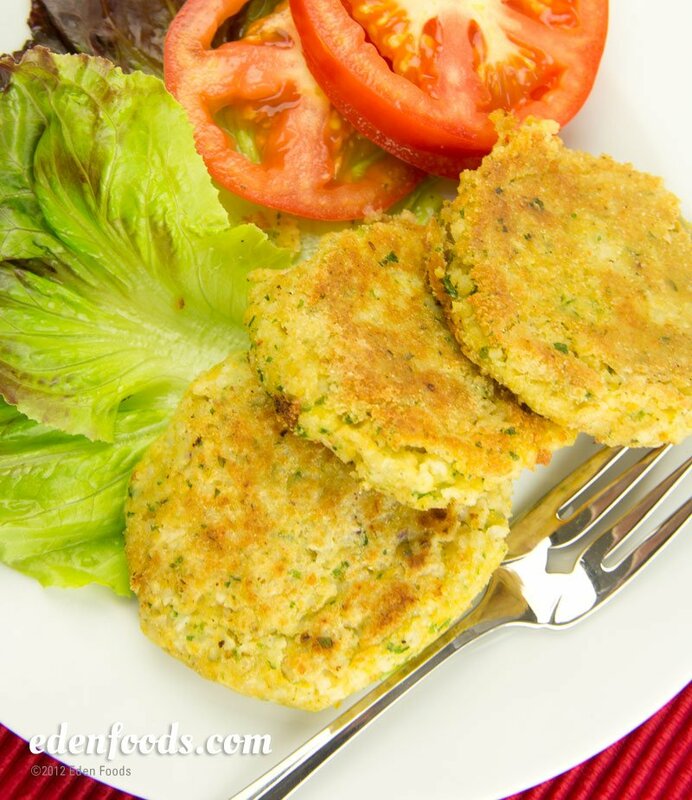 The patties are delicious served as falafel in warm pita pocket bread with lettuce, tomatoes, cucumber slices and you favorite dressing.